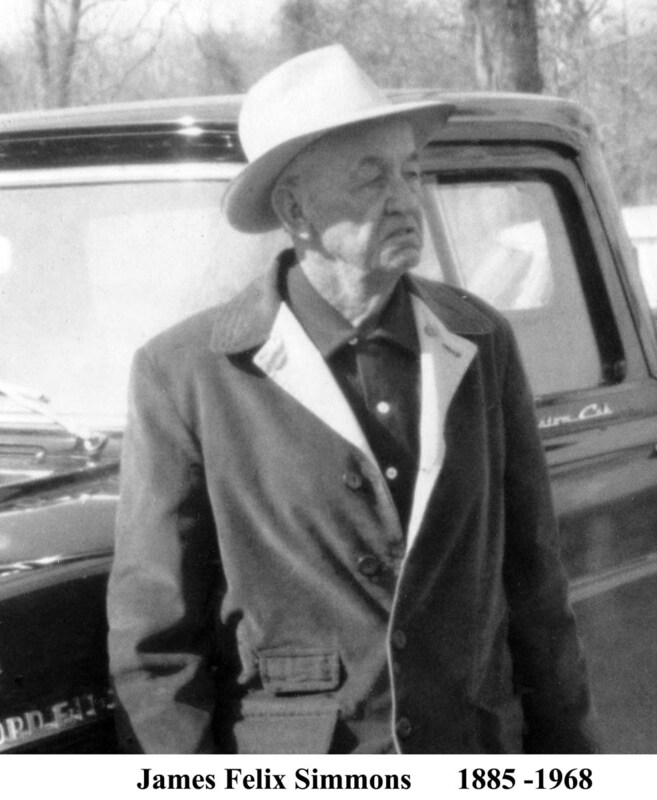 James was born on 4 JUN 1885 in Tupelo, Jackson County, Arkansas, the son of Benjamin Fletcher Simmons and Lucy James Rotenberry. 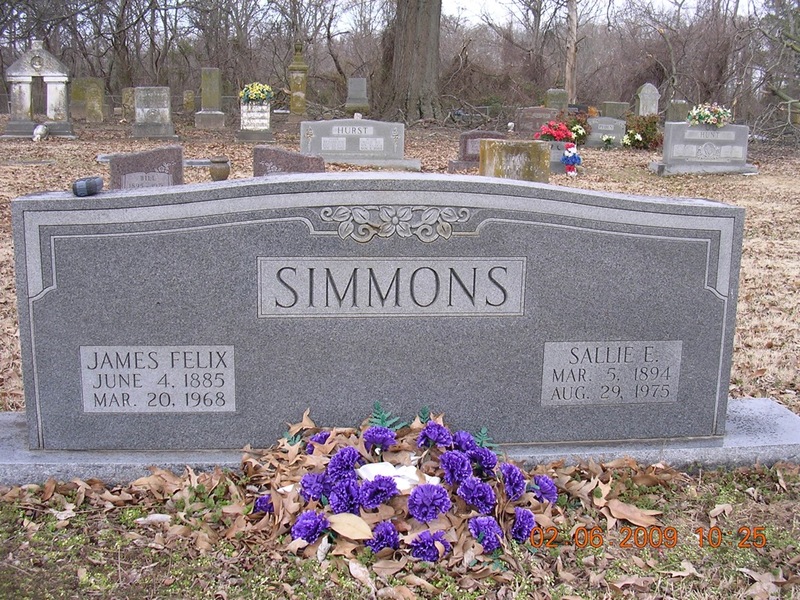 His wife was Sallie Edwina Johnson, who he married on 2 JUL 1911 in Jackson County, Arkansas. 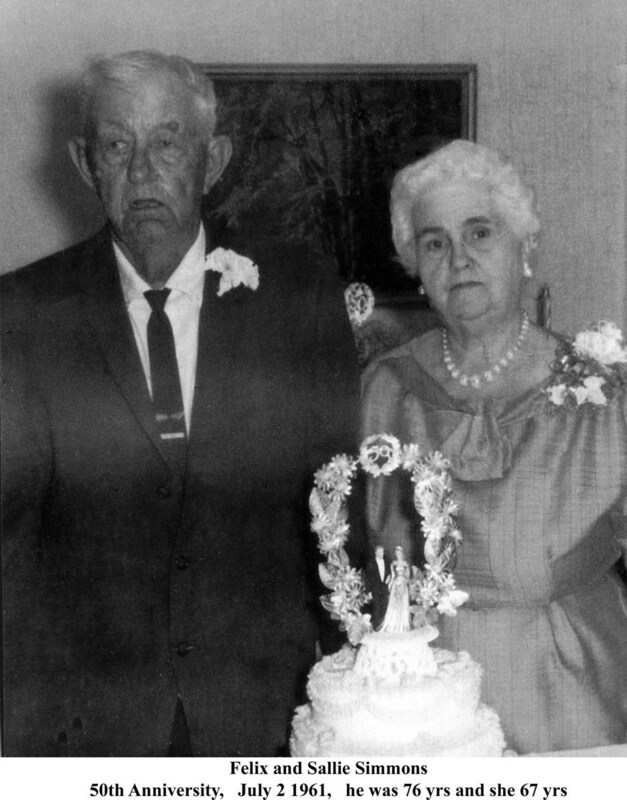 Their four known children were Margery Mae (1916-1993), Benjamin Felix (1922-1985), Sybil (1929-2008) and Lucy Jane (1930-2016). 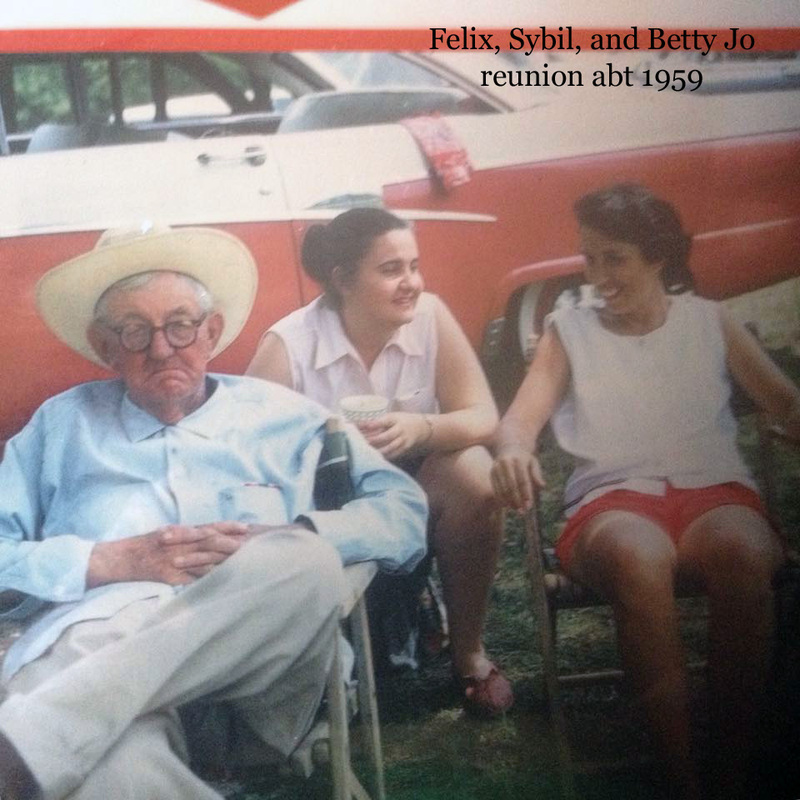 Felix was a farmer and his favorite pastime was fishing. He and younger brother Lon fished together a lot in their later years. Their father Ben often said that Felix could eat more buffalo fish than anyone else...claimed that Felix would eat the whole fish and spit out the bones afterward. 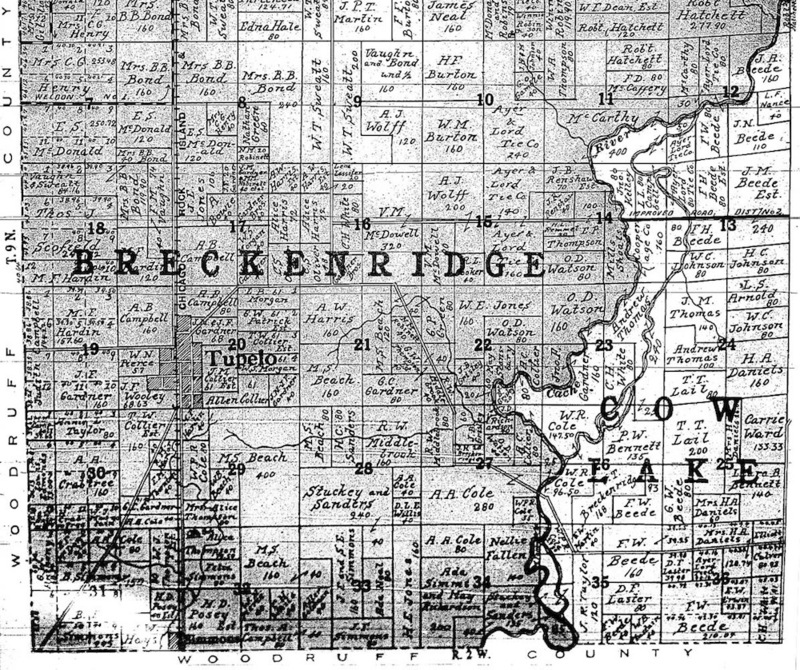 The common or bigmouth Buffalo is a large, important commercial species of sucker fish, It is very common in Jackson County and surrounding area, very boney, but low price and generally good flavor when properly prepared. Doris in 1966 letter to Bobby said Felix was charter member of SAE at UA Fayetteville. However Arkansas Alpha-Upsilon Chapter ("AR A-U") was founded on July 9, 1894, so maybe something to the memory, either another uncle or another frat. 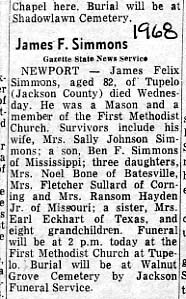 James Felix Simmons, aged 82, of Tupelo (Jackson County) died Wednesday. He was a Mason and a member of the First Methodist Church. 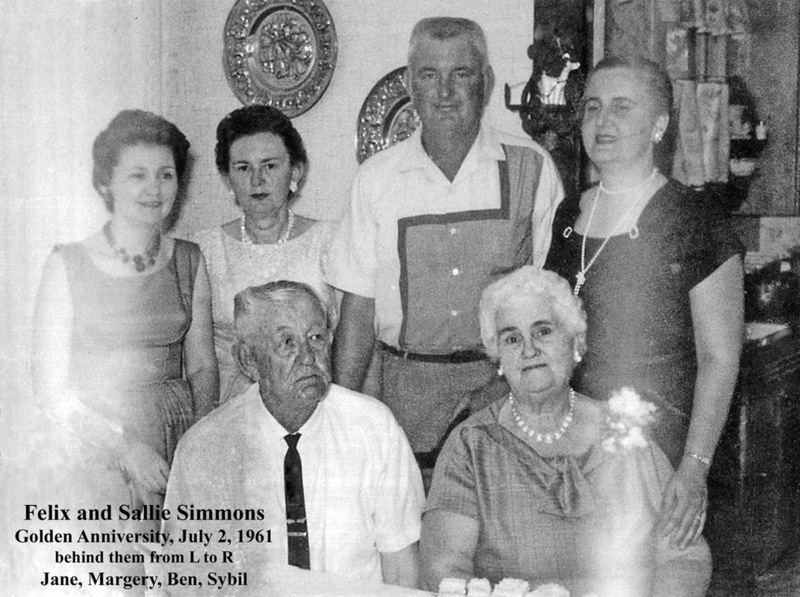 Survivors include his wife, Mrs Sally Johnson Simmons; a son Ben F Simmons of Mississippi; Three daughters, Mrs. Noel Bone of Batesville, Mrs Fletcher Sullard of Corning and Mrs Ranson Hayden Jr. of Missouri; a sister, Mrs Earl Eckhart of Texas and eight grandchildren. Funeral will be at 2 pm today at the First Methodist Church at Tupelo. Burial will be at Walnut Grove Cemetery by Jackson Funeral Service.